The presented room availability, rates and discounts are actual and final for all our 118 hotels in Golden Sands. 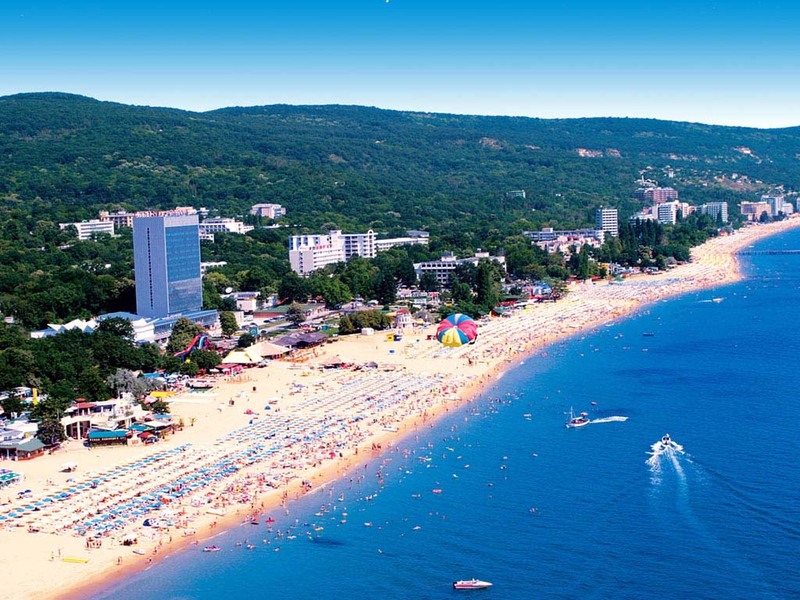 This is a popular and attractive beach resort that is located not far away from Varna. The resort has got its name from a nationally famous park “Golden Sands”, on the territory of which are located beaches, hotel complexes and other entertaining centers of the town. The park occupies a huge territory each piece of which is a precious nature reserve. Here you will find forests, clean beaches and crystal water with amazing bottom, and national parks that are home to rare birds and animals. On the territory of Golden Sands are located 50 hotels and all of them are built not far away from the coast line. The resort is considered the ideal place of rest for tourists with kids. All hotels have entertainment centers where experienced teachers will look after your kids. There are also playing rooms for kids and beaches are equipped with attractions for kids. The main peculiarity of the resort is the large number of high-quality swimming pools filled with mineral water. You will have an opportunity to try all kinds of entertainments – you can attend scuba diving school, fly on a hang glider, try parachute jumping or ride a water bicycle. When the rest on a hot beach becomes quite boring and you want to mix it with cultural events, it’s high time to make a walk in the town and look at its sights.